Yesterday, Me and my wife went for an outing with my collage friends. We were six couples in all. We first watched the movie The Lunch Box, at Satyam Patel Nagar 6.30 PM show. After the movie, we were feeling so hungry that we all wanted to go to a place nearest to Patel Nagar. We decided to go to Moments Mall Food Court. It was nice but very crowded on Sunday Night. Its Food Court is called Del15. You have to get the Del15 Card First by paying Cash. It's for all the counters except Chicago Pizza, Dunkin Donuts and KFC. We ordered a variety of food. 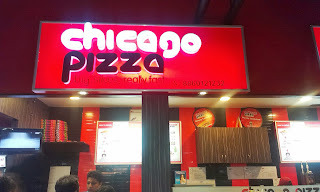 In this post I am telling about Chicago Pizza. I liked the Chicago Pizza. Its taste was very different from others. 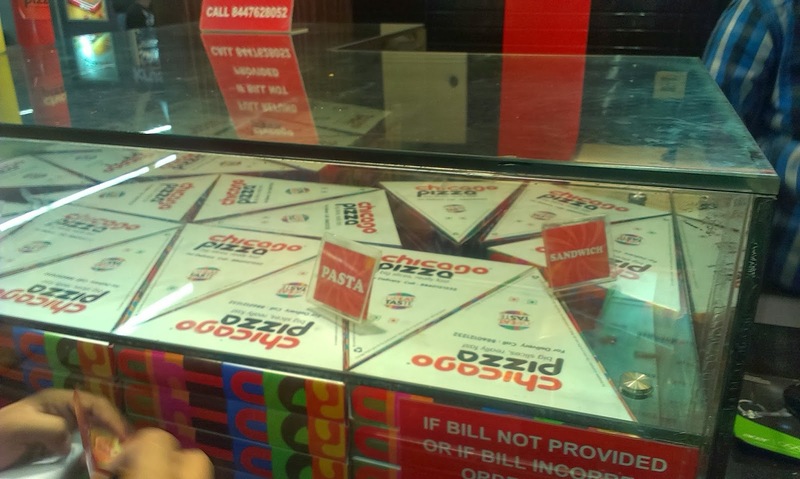 They give pizza slices which is enough for a single person. You can choose your own toppings. The cost was Rs.75 for the Pizza and Rs. 10 / topping. The pizza took some time but was worth waiting. Both Veg and Non-Veg toppings are available. A must try for Pizza lovers. 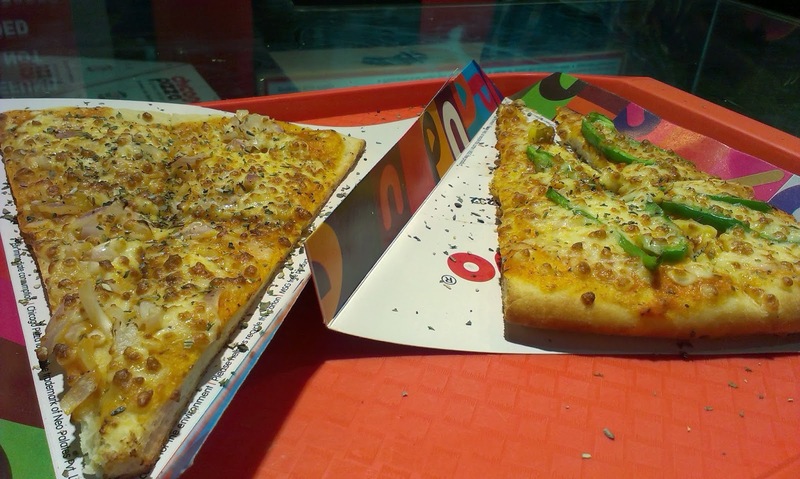 I ordered two slices (Cheese Onion) and (Cheese, Onion and Capsicum) Pizza.